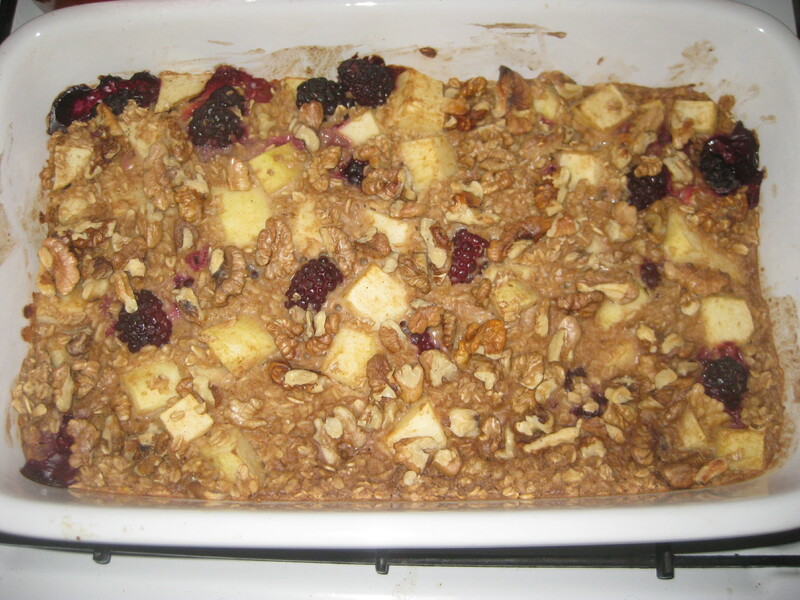 Pictured up top, fresh from the oven, is the maple-cinnamon apple baked oatmeal, which I made with blackberries instead of pear. 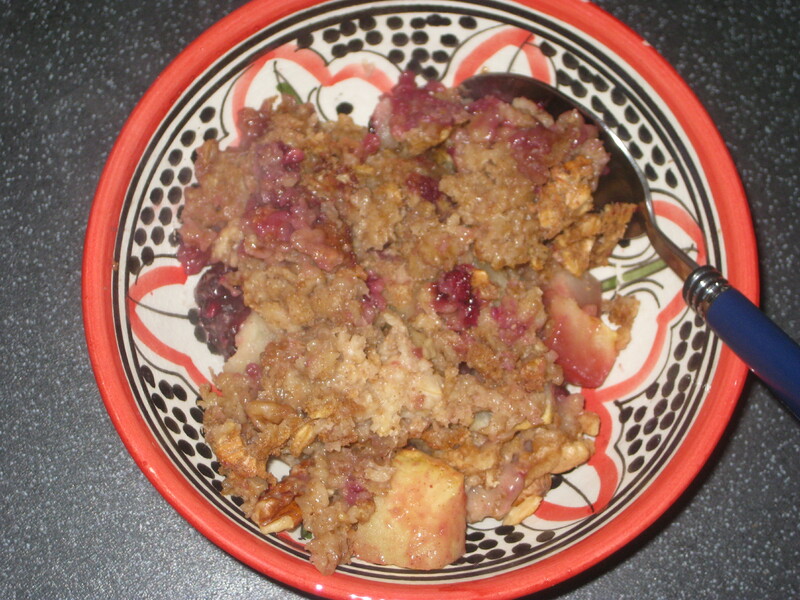 This dish combines some of the ultimate comforting flavours (and aromas), and closely resembled apple crumble, so you can imagine how much I enjoyed it. You could just as easily eat it with custard or ice cream and call it pudding. 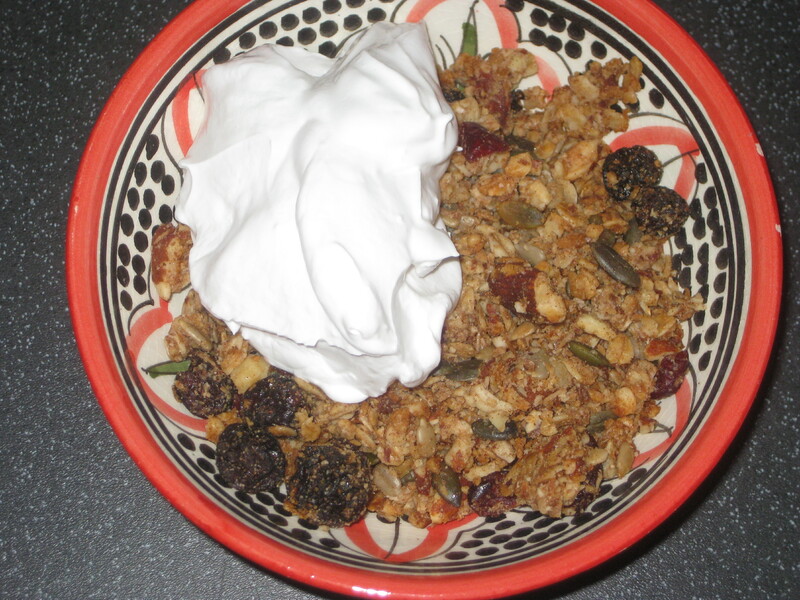 Sticking with the breakfast theme, the Ultimate Granola Clusters were really tasty and easy to make. All granola recipes I’ve tried in the past have said to bake for 40 minutes, but they were blackened and burning after 10 – this was the only accurate recipe I’ve found, where it did indeed take about 35 minutes for it all to come together. This didn’t last long, but it was beautiful with coconut yoghurt. The sunrise scramble was another tasty breakfast. My fellow is the king of the breakfast scramble, but even he conceded that this was a pretty good second best- largely because I sprinkled in some chilli flakes, whereas when he cooks I expressly forbid him from adding extra fieriness. 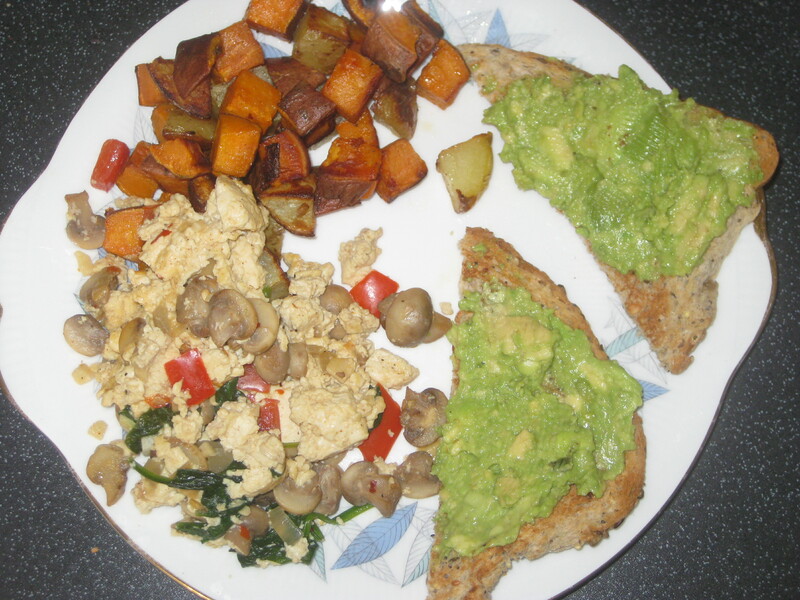 It was a nice twist on a big cooked breakfast – a little bit healthier, and filling enough without the added heaviness of the sausages and whatnot. It was also my first time having avocado on toast, and I’ll definitely be back for more. 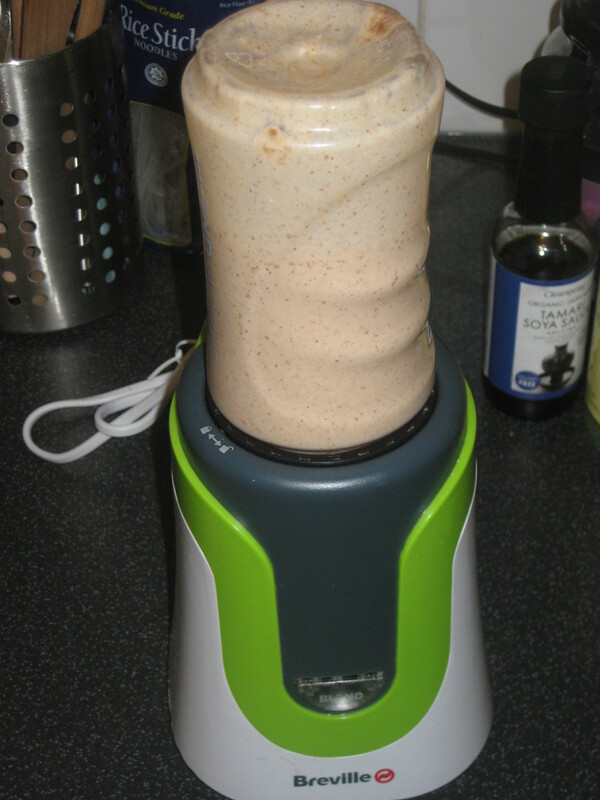 I mentioned a couple of the smoothies last time: another favourite is the gym rat, which is really sticky and sweet from the dates, substantial from the oats and delicious from the peanut butter. It always puts me in mind of a Snickers bar, which is no bad thing. 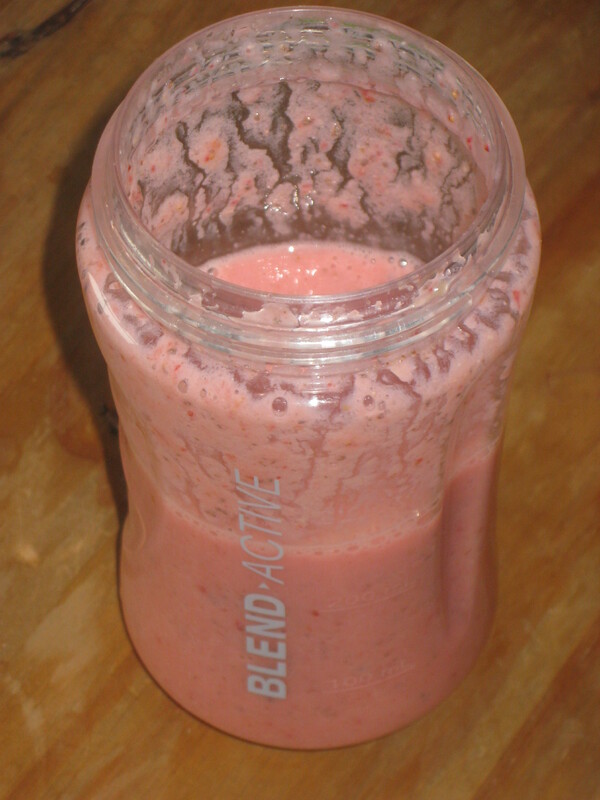 This morning glory strawberry smoothie is more obviously virtuous, and very tasty and refreshing too. The recipe calls for coconut water, but we just throw in a little tap water and coconut milk together. I think there is no occasion fancier than a party tea, so I tried a few of the nibbles that could easily be served to a crowd. 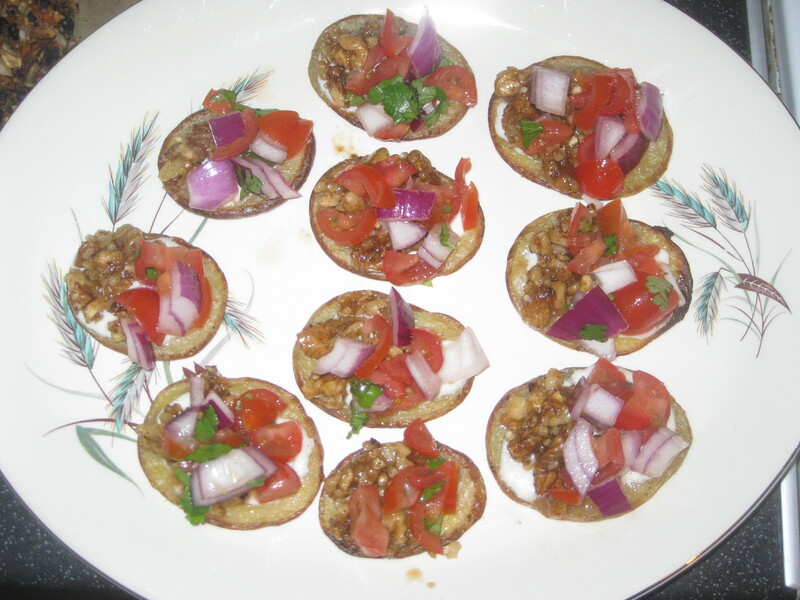 These pretty little bites are taco fiesta potato crisps: roasted potato slices, topped with cashew sour cream (delightfully easy to make), walnut taco ‘meat’ (spicy and meaty), and salsa (homemade by my rugged and manly assistant). 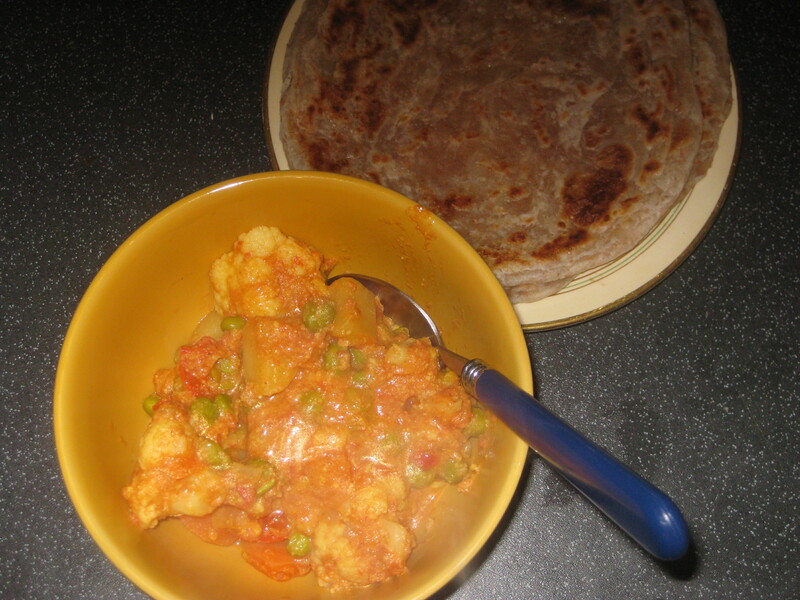 I’ll definitely be making these again – lots of different textures and complementary flavours mingling happily. We also sampled the life-affirming warm nacho dip. I thought the title a rather bold claim, especially because I associate nacho dip with the disgusting, plastic-looking smelly cheese that people have on their nachos in the cinema (food that smelly surely shouldn’t be allowed?). But it was very good. It combines a cheese sauce with a tomato one, and I hadn’t expected much from the cheese part, but it was really tasty. 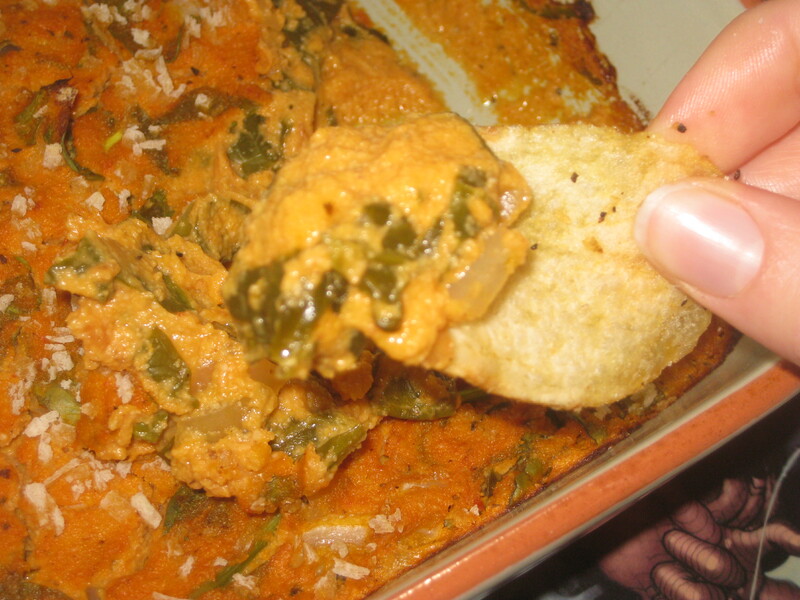 We devoured this in no time at all, it was lovely and creamy, and certainly best served warm. 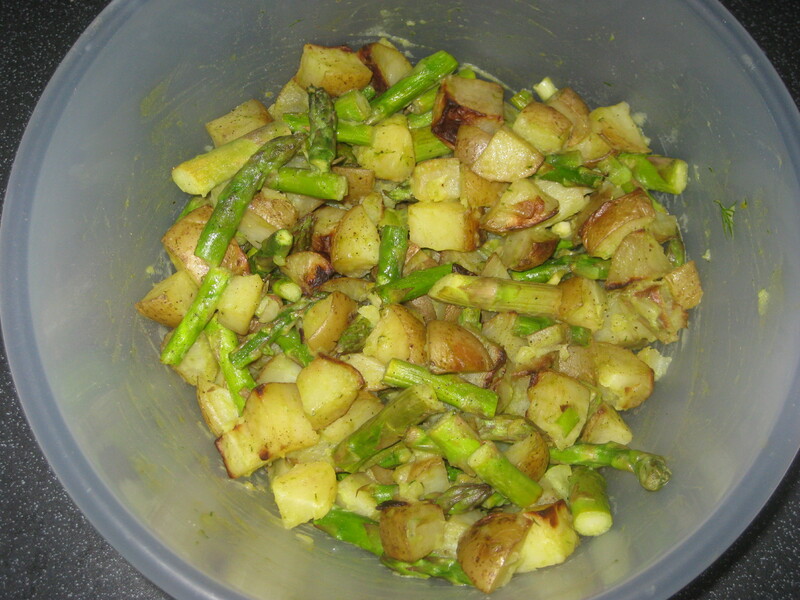 Switching to salads, I’ve made the creamy avocado-potato salad a couple of times for packed lunches and find it very satisfying – roasting the potatoes may not be particularly healthy, but it pays off tastewise, and there’s some greenery right there to balance it out. This is going to be even better in summer, I can just tell! 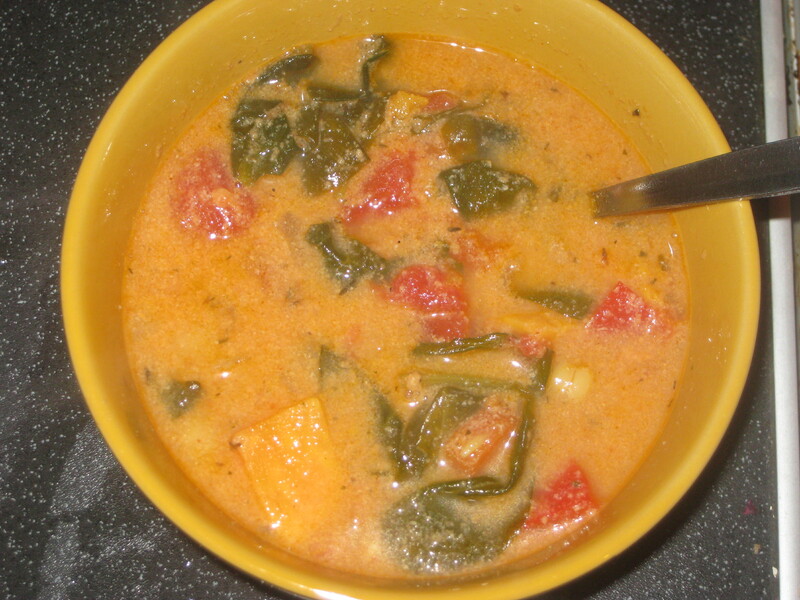 The 10 spice vegetable soup was another good packed lunch. 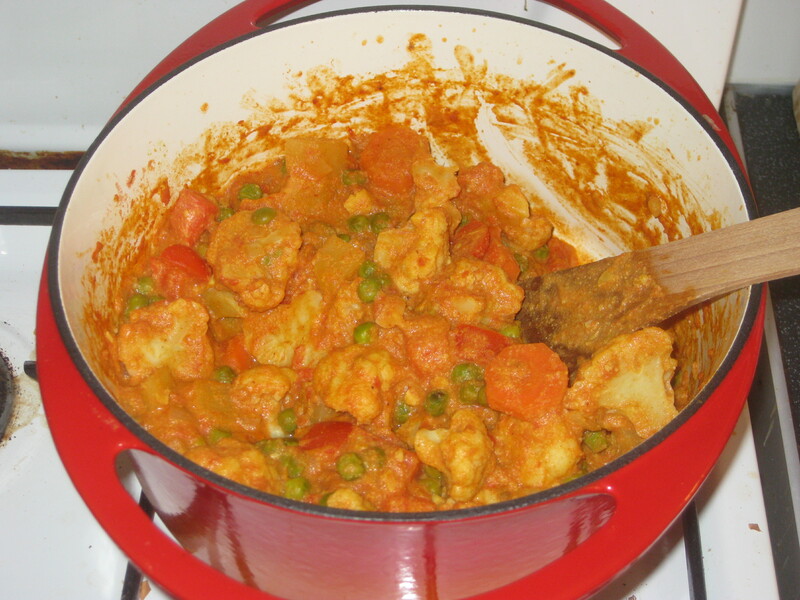 It contained a lot of the same vegetable ingredients as the African peanut stew, which I think it just breathtakingly good, so it suffered a wee bit in comparison. But it was fiery and healthy, and inspired some staffroom envy too. 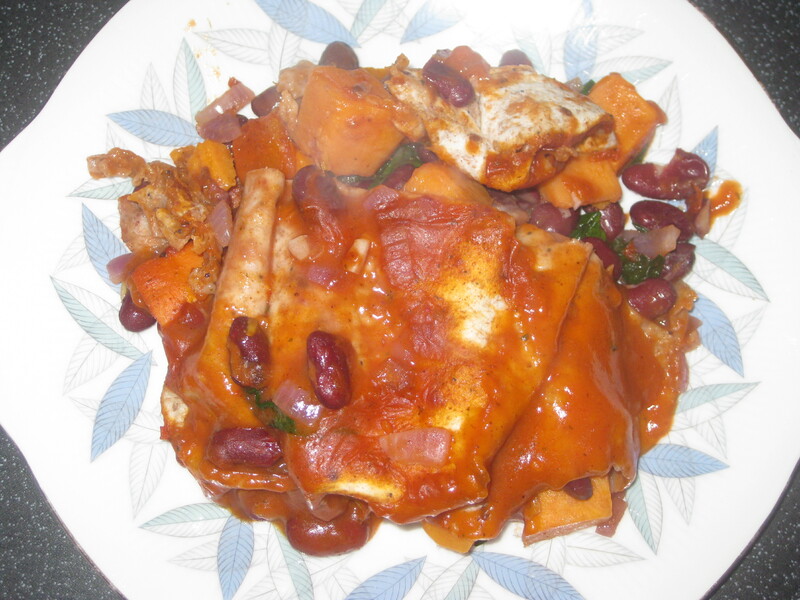 And finally, a look at the main meals: the sweet potato and black bean enchiladas were tasty and quick to make, but I’ll add more spices next time to really give it a kick. The recipe includes a creamy avocado sauce, but we drizzled it with some leftover cashew sour cream we had. I bulked out the recipe by doubling the amount of beans, and had to switch from black beans to kidney due to a slight error on the shopping list. Still delicious. 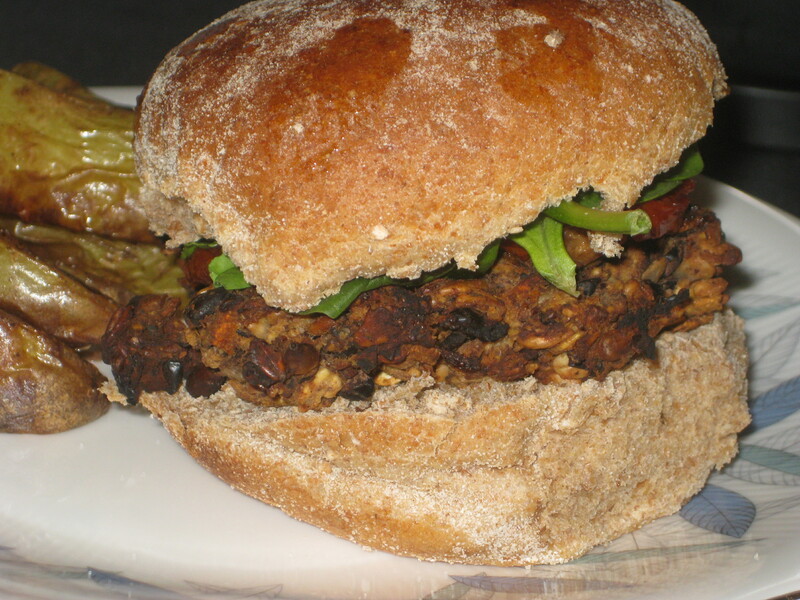 The favourite veggie burgers were quite easy to make and froze really nicely. 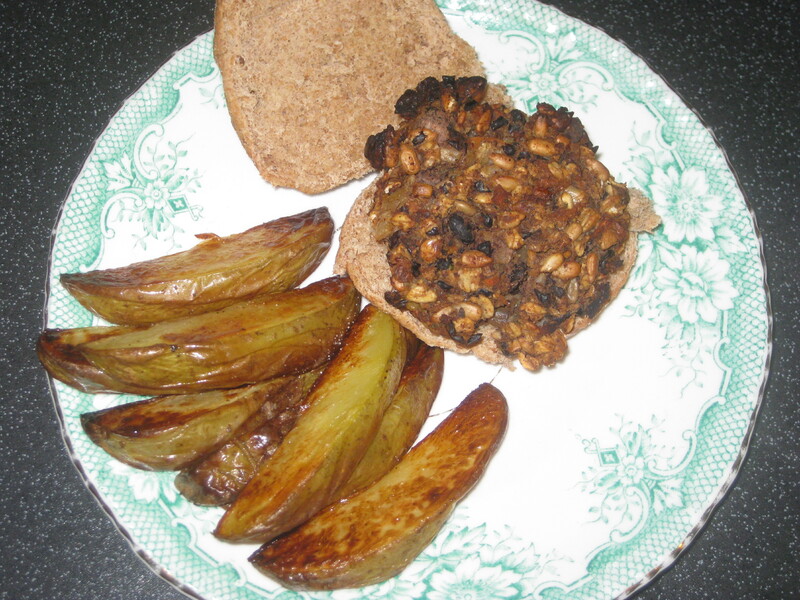 The mixture was quite sticky and required more oats to hold it together, and then the cooked burger was a wee bit dry. I froze the burgers to save them for a rainy day, and cooked them from frozen. They crumbled a bit on cooking, but were generally able to be scooped up onto the waiting buns. I’d feared they’d be a bit dry, but was pleasantly surprised – they had a lovely texture and taste. I think they need a bit more experimenting to get them to retain their shape while they cook, but I’m definitely going to make them again. This month I’m turning my focus to Isa Does It. Here’s to more delicious meals! your favourite bread to serve with! 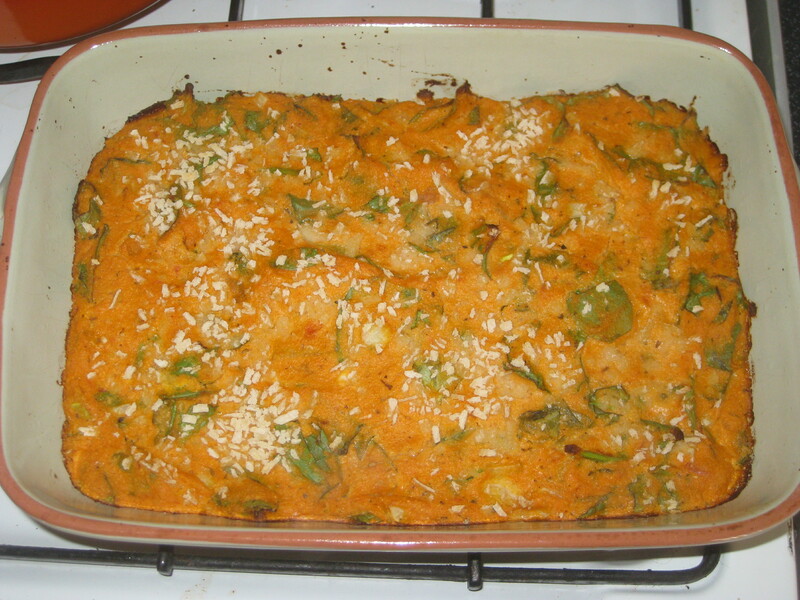 -dress the sop with coriander & serve with warm bread – delicious!! sorry 400g tin chick peas not 440!! Thanks Pamela, I’ll let you know when I give it a whirl!